My journey to become a counsellor began a number of years ago after a series of life changing events. I struggled to find the inner resources I needed to make sense of it all. After seeking the assistance of therapeutic practitioners their compassionate and non-judgemental expertise enabled me to explore my life experiences, develop insight and a deeper understanding of myself. This process harnessed my personal power and facilitated a fuller life, of which I carry with me today. This was and remains an inspiring experience from which my training began. For an in depth description of my approach, please see further information below. Sometimes the reason is very specific e.g. a life changing event such as bereavement, broken relationship or trauma. Other times people don’t really know what is wrong but just have a sense they don’t feel “right” and want to get back to their old selves again. Sometimes people have struggled all their lives with overwhelming feelings and want to sort it out once and for all. Hearing your own voice aloud, sharing your thoughts and feelings with another human being with a genuine desire to understand, is in itself therapeutic. 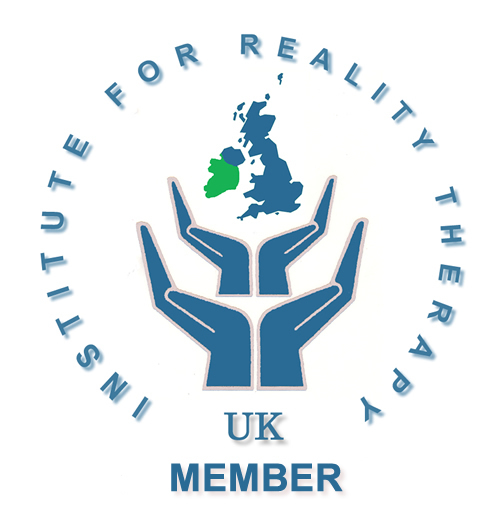 Together we can explore what brought you to therapy and as the process unfolds we can discover how your life experiences have brought you to this point. Rather like a jigsaw puzzle, it is possible to piece together your life experiences and recognise patterns in behaviour. Validation of your feelings can aid the healing process from unresolved internal conflict. Gaining insight and self-awareness brings greater understanding and choices. We can discover resources within you, you didn’t know you had and identify hidden obstacles you never knew were restricting you. Therapy is not something the counsellor does to you, but like a lot of things, you will get out of it what you put in. For this reason, it is not a sign of weakness to seek counselling rather than an act of courage. Taking charge of your well-being is something to be proud of. It’s not a quick fix but depending on your objective and given adequate time can be extremely powerful. Contemplating seeing a counsellor can be daunting. If you are concerned about talking and stirring up unpleasant feelings, the fact you are reading this suggests those feelings are already with you. Please feel free to contact me confidentially by phone or email, where I can answer the questions you have, and hopefully put your mind at ease. There is no obligation to make an appointment if you need more time to consider it. You may have already decided you are ready to arrange an assessment session, in which case, please contact me on 07866 511668 to make an appointment. During the assessment I will gather background information, explore with you your reasons for coming and discuss what you hope to gain from therapy. It is also an opportunity to meet me in person which should give you an indication of what working with me may feel like. It is important you choose a therapist that you feel comfortable with (as comfortable as you can be). During the assessment, hopefully we will establish if you would like to commit to therapy. Again, you may feel you need time to think about it further. However, if you would like to proceed I can offer, usually weekly, sessions on both a short and long term contract. I have an understanding of addiction and an appreciation of this often misunderstood problem from both the addict’s perspective and their loved ones. It is common for attention to be drawn to the substance, the amount of it or behaviour that is being abused, not to mention the chaos and drama that addiction creates, however, there are always more complex underlying dynamics involved that fuels addictive behaviour. I have experience with Alcoholics Anonymous and its principles. I gained experience in the family support group of Focus 12, a charity funded addiction rehabilitation service in Bury St Edmunds. I have conducted two research projects. One focused on counselling and alcoholism, the other on mindfulness and alcohol recovery. I have experience of regularly attending an encounter group. I have experience working with people whose lives have been affected by sexual, physical and emotional abuse in childhood and co-facilitate a weekly support group for survivors in Colchester called, L.I.G.H.T. (Living in Greater Hope Together). I have experience working with women in abusive relationships and Victim Support. Looking at the relationships in our lives, both personal and professional, can help identify when we become disempowered. Whether you find yourself unable to say “no” to people or if your desire for control alienates those around you, counselling could facilitate a change to healthier, more fulfilling relationships. I have an understanding and able to work with the challenges a chronic illness can present such as Chronic Fatigue, Ehlers-Danlos Syndrome/Hypermobility Syndrome and Fibromyalgia. In addition, I have an understanding of how psychologically challenging hospital stays, operations, treatments and procedures can be. Whilst undergoing treatment for a physical problem, often the psychological impact is neglected even when the treatment is traumatic, leading to feelings of bewilderment when physically recovered yet mentally exhausted. I am a registered member of the BACP (British Association of Counselling and Psychotherapy). As such I am bound in its Ethical Framework for Good Practice in Counselling and Psychotherapy. I attend monthly clinical supervision in accordance with the guidelines and requirements of BACP to maintain therapeutic standards of practice. I hold an enhanced Criminal Record Bureau (DBS) disclosure certifying me as suitable for work with vulnerable adults and children. I continue to further my training by attending workshops, seminars and Continued Professional Development courses. £40.00 per 50 minute session (including assessment session). I have a flexible appointment system, please contact for further details. I am able to offer reduced rates for a limited time for people on low income and students. My main counselling practice is in Sudbury on the Suffolk, Essex border. Situated in Sudbury town centre it is easily accessible with ample free parking a 5 minute walk away. I also practice at Life-Force Centre in Colchester and at Independent Therapy Solutions in Braintree. Please contact me directly to discuss availability at these three locations. I believe everyone and their lives are unique. Whilst we may share commonalities in the human condition, how we experience them is very personal and individual. Therefore, I don’t believe in a “one size fits all” approach to therapy. The counselling approach I practice is called the Integrative model. This allows me to draw upon many different theories to facilitate an authentic process such as Humanistic (Person-Centred), Psychodynamic, Transactional Analysis, Cognitive Behavioural Therapy, Experiential and Creative. With this substantial range of frameworks I am able to find the best way to work with you to make your counselling sessions as unique as you are. Every person is different, every experience is different and every counselling session is different. I believe the quality of counselling I provide lies in the value I give to the relationship I offer every client. I am empathic and keen to listen and understand what your life experience is like for you. I am naturally open minded, non-judgemental and have a deep respect for diversity and difference. As such I aim to develop a therapeutic relationship that provides enough safety to explore your truth. What you choose to bring to a session is your choice and I am guided by you and what you would like to explore. I am also interactive and honest which at times can feel challenging. I have immense passion for change and continue to be inspired by other people’s courage, strength and determination. I feel privileged and humbled by every client I work with on their journey to empowerment.